HAPPY NEW YEAR! 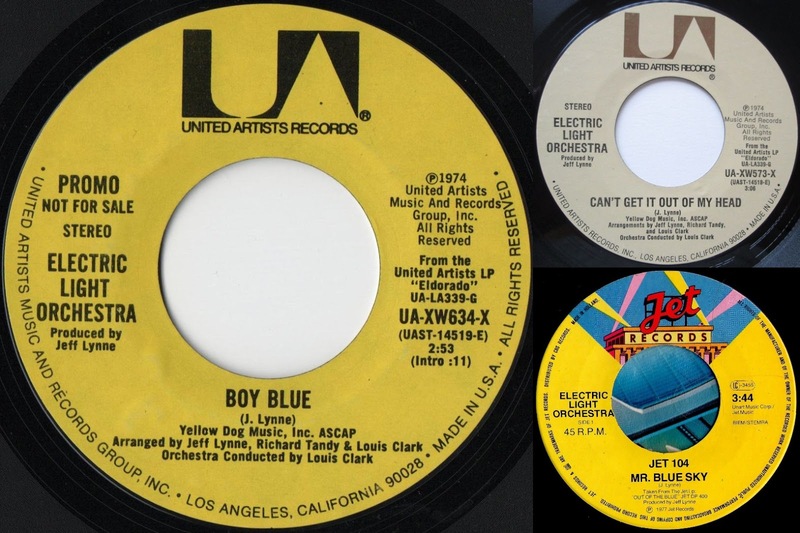 Over the years - from "Time" to "Time" - Electric Light Orchestra singles were edited down in order either to facilitate radio airplay, promote their records and, in some cases, fit onto 7" format (for jukebox usage et al). This was particularly evident with singles taken from ELO's first five studio albums where the tracks were either too long or supplanted with orchestral preludes or interludes. Yours Truly KJS therefore thought a worthwhile task to try and collate a list of those ELO single edits for elobeatlesforever (elobf). I've omitted any releases where the difference between track lengths is 3 seconds or less. 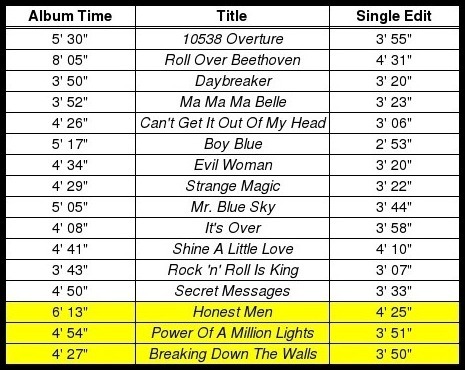 The album timings are taken from various vinyl and digital sources. Doubtless I've missed a few! Perhaps the most extreme examples of the culling of ELO songs for single release occurred with "Can't Get It Out Of My Head" (UK/US) and "Boy Blue" (US only) from the "Eldorado" long player as well as in Holland/Europe where "Mr. Blue Sky" was also significantly cut short. In the above cases, the result was to dramatically reduce the integrity of the songs (in the opinion of this writer) whereas the shortened versions of "10538 Overture" and "Roll Over Beethoven" did seem to work. I've also included ELO Part II singles for the sake of completeness. Enjoy!